When we first moved into our home, there was a plethora of colors on the walls (read: it looked like Rainbow Brite herself had once resided in my home! 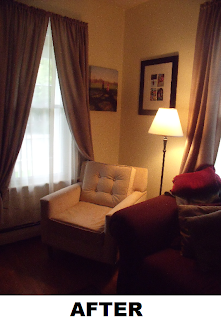 But it was a gorgeous Colonial in a great area.... so I rolled up my sleeves and got ready to paint!). The hall was bright yellow (BRIGHT YELLOW, not pleasant yellow more of a cross between mustard and crayon) and the other colors, well, I won't even get started.... or this post may very well go on FOREVER! After many gallons of primer and paint, we had successfully covered most of our walls with neutral tones that were more pleasant and livable. However, the paint fumes that lingered were something that we definitely could have done without! With one very dark living room (Before Picture Above) and a bright blue bathroom left to paint, I set off to find both a pleasant color and a paint that wouldn't leave an awful odor behind. Mythic Paint was the answer! With an amazing selection of colors, I went with the cheerful Pale Sunshine (092- 1) and waited patiently for it to arrive (which didn't take long at all-arriving within 3 days of the order being placed). I was beyond excited to get this non-toxic low odor paint up on my painstakingly dark green walls! 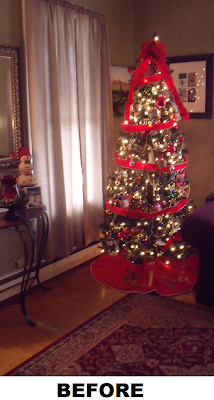 The first thing that was immediately noticeable was the scent (or lack thereof), I could barely smell anything as I was applying the paint to the walls, and after it had dried there was no trace of odor at all (with other brands in the past, the odor has lingered for days - in some cases months). After I started to paint, the next thing that I noticed was the quality; the paint covers extremely well and to my surprise only required one coat. The color is both beautiful and cheerful. 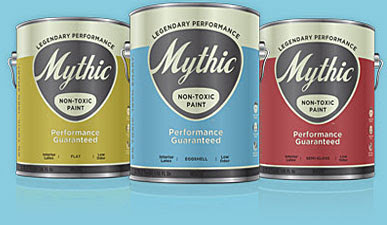 It has completely transformed the room by brightening up the space and has made the room feel much more open and spacious.With little one's in the house, I can feel more confident in the safety of Mythic's non-toxic low odor paint. 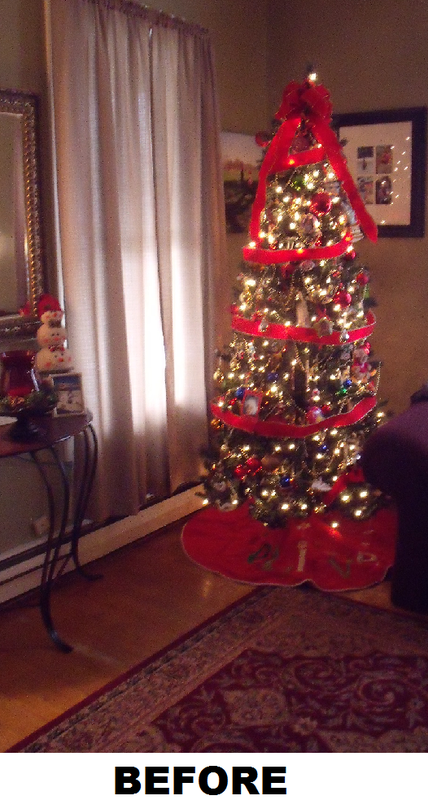 The impressive quality and gorgeous finish has definitely made me a lifelong customer! 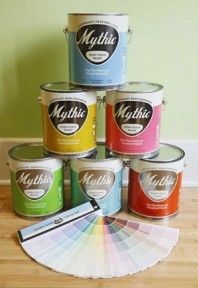 Leave a comment~ Visit http://www.mythicpaint.com/ and let me know which color you would love to update your space with. The comment is considered your entry. Entry to this giveaway ends at 12pm PST June 15, 2011. Winner's are chosen randomly through random.org.The winner will be announced in a post within 7 days of the giveaway ending, and contacted through email. The winner will have 48 hrs. to respond or another winner will be chosen. DISCLOSURE: Product samples are provided for review/giveaway purposes. I am not required to write a positive review. The opinions I have expressed in this post are my own. I am disclosing this in accordance with the Federal Trade Commission’s 16 CFR, Part 255. I'd choose Toasted Seseme for my living room. Honestly, this is the kind of decision that I would make over the course of several weeks with a lot of back and forth in my mind. I'm fond of Earthtones so right now I'm leaning toward Carmel Coast (TAN) and My Garden (Green.) But I may change my mind a dozen times before I finally decide! I would love their sand in your shoes color of paint for our master bath which we just remodeled into a beach theme.